It’s officially picnic season! I’ve always had a soft spot for spontaneous parties thrown in the grass. There’s just something about relaxing in the sun with friends that inspires all the good feelings. 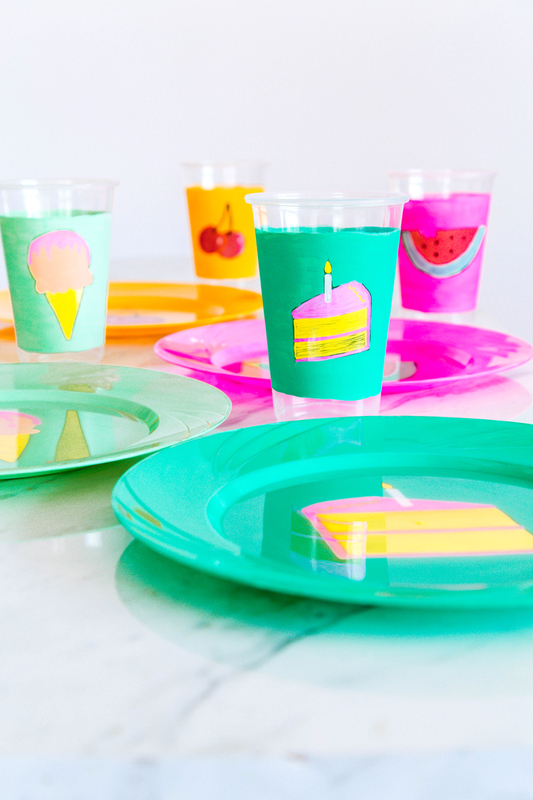 Creating a cute picnic area is easy when you have these fun painted plates & cups to pull out of the basket. Since the outside wind and weather can hinder decorating for a special picnic, I like to focus on what’s actually in the basket. Good food, something yummy to drink, and a creative spin on the set-up will always make it special. 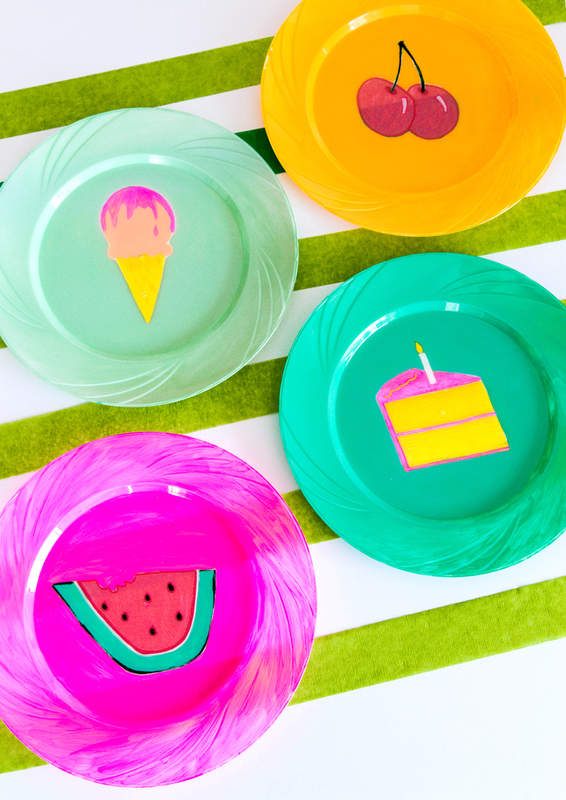 These picnic plates are simple plastic ones that we updated to fit our signature festive vibe. 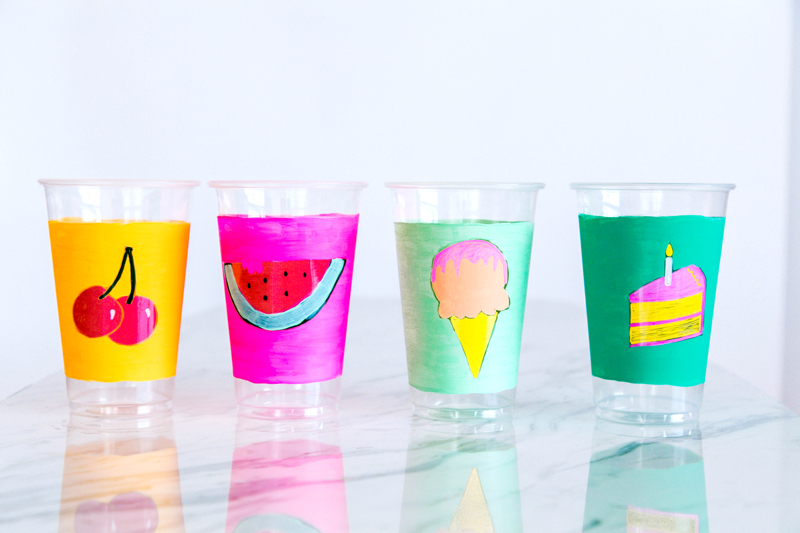 The idea could be transformed for any picnic celebration, say a graduation party, or baby shower at the park. 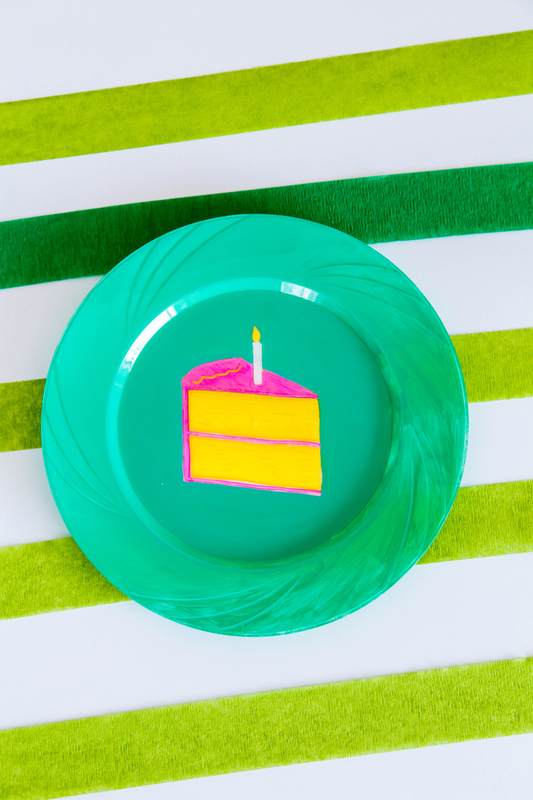 It’s an easy way to create whatever your favorite design is for a celebration on the go. 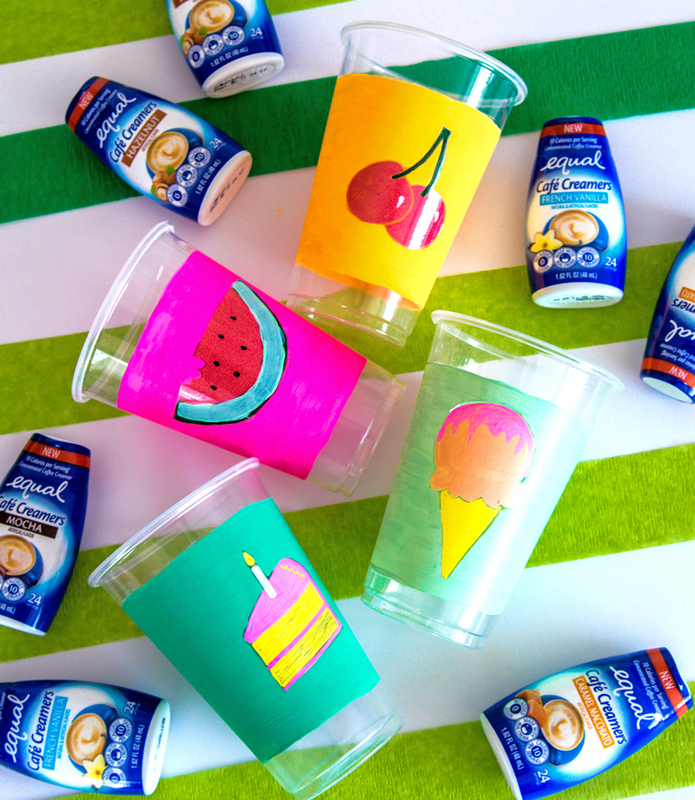 When I’m planning what will be in our picnic baskets, I think easy to eat foods and drinks that everyone will love. For a late afternoon Cava is obviously the right choice, but for the mornings we always bring along coffee. Black coffee in a thermos stays hot and ready to wake us up as we spread out leisurely on the grass. Since I don’t want to haul along huge cartons of cream and bowls of sugar that are sure to attract ants – I grab for my travel Equal Travel Creamers for picnic season. They come in yummy flavors like Caramel Macchiato, Mocha, and French Vanilla & quickly turn a cup of hot black coffee into a morning picnic treat. A blanket, cute plates, and a cup of this creamy goodness will bring us together sweetly with real cream and without any added sugar. What I love most about these plates is the option to trace a design that was either drawn or printed. Meaning the artistic ability factor goes way down and they can be customized for any occasion. 1. Place the image you plan to transfer on a flat surface with the plate inverted above it (you’ll be painting on the back sides of the plates). 2. 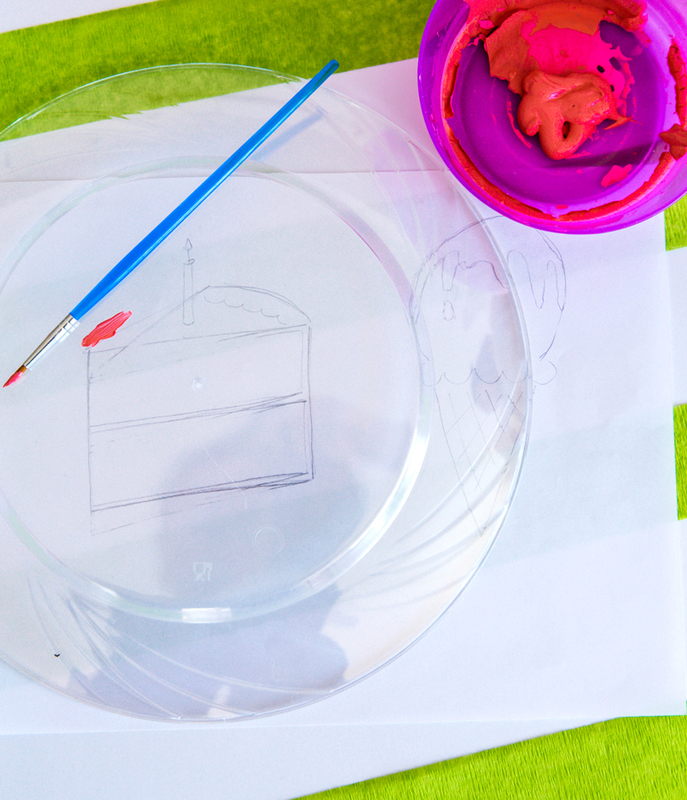 Use paint to trace and fill in the plate. One tip is to start with the most upfront color and move backwards. 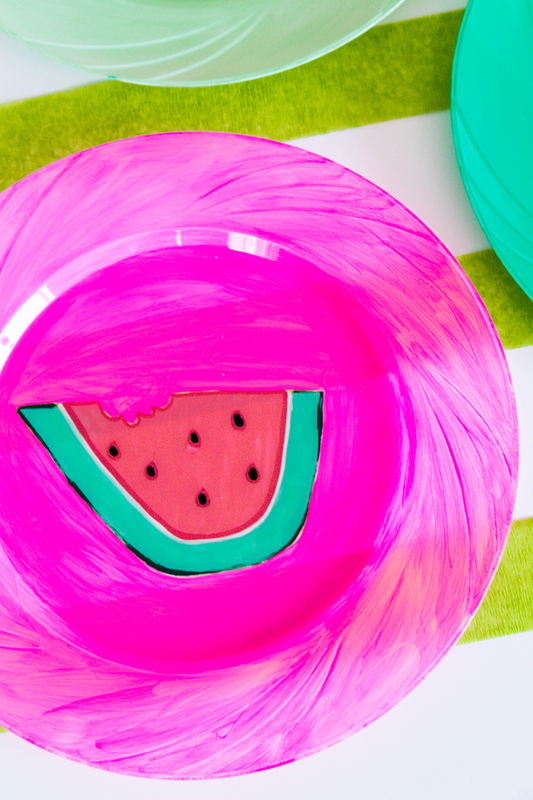 So for instance with the watermelon we painted in the seeds first, then the red + green, and lastly the pink surround. This ensures the more upfront colors won’t get smushed into the rest of the painting. Summer is just around the corner! 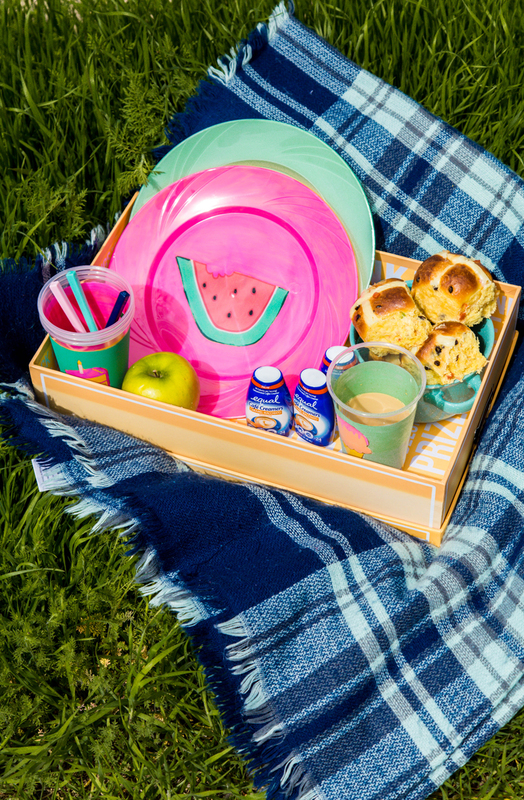 Time to get the picnic gear and take along creamers ready to go for picnics, beach dates and all the fun that this coming season will offer. 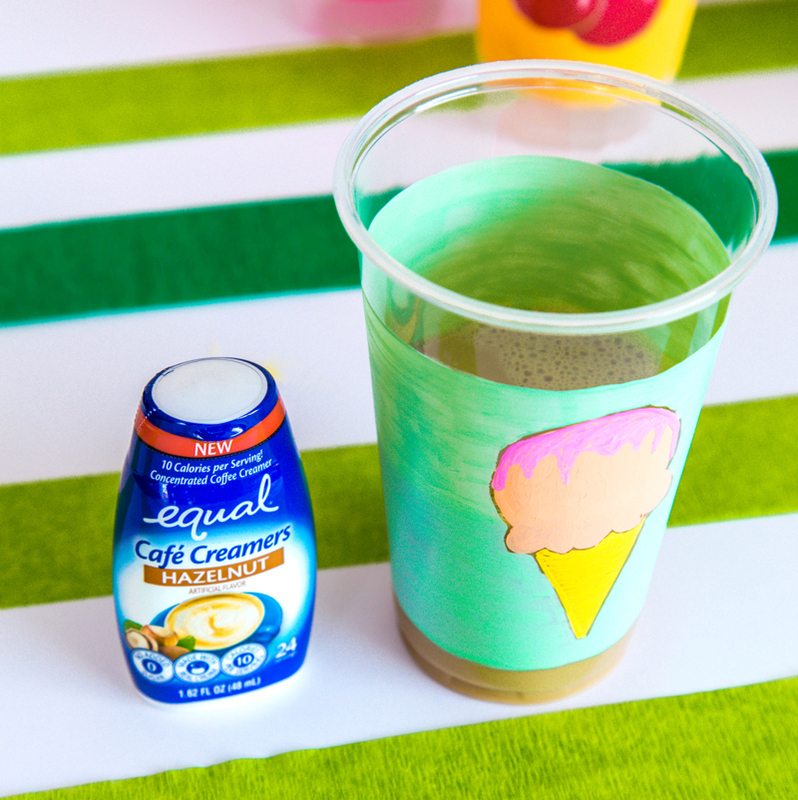 Equal creamers available at Walmart Super Centers where Equal Café Creamers has distribution. Find your closest store here and grab a coupon to try them out right here. This post is done in paid partnership with Equal.